Soviet Army Stuff - Soviet & Russian Uniforms, Gas Masks, Spetsnaz gear. 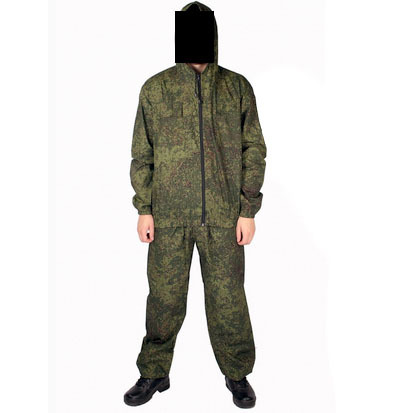 SovietArmyStuff.com is a premier supplier of Soviet and Russian tactical and combat gear. 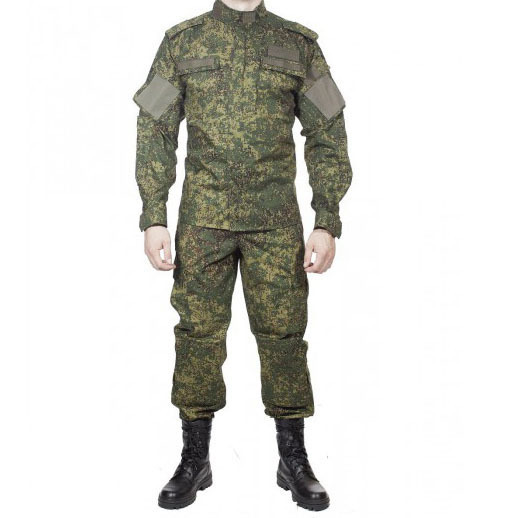 Here you can buy: Russian army surplus, Soviet army surplus, Russian Spetsnaz Uniforms, latex / rubber gas masks, Russian BDU camo Uniforms, Russian Ushanka fur hats, Soviet army badges and patches, army name / dog tags, assault vests, tactical chest rig, accessories and other combat equipment, paintball, airsoft and any other tactical application. If you need any help when trying to place an order, please contact us. Affordabe GORKA-3 SUIT COPIES! Very vide range of sizes available! Special offer! Digital flora jacket + pants + vest + cap. Special offer! Patched flora jacket + pants + flora vest + flora cap. 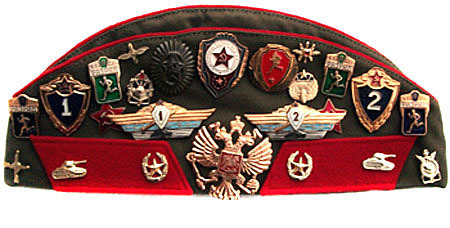 Original Russian Army Officer Uniform Red Star Hat Badge. Dimensions 5 x 4 cm (2 x 1.5 inches). Metal. New, unused military surplus. Original Russian Marine uniform sleeve patch. Embroidered. 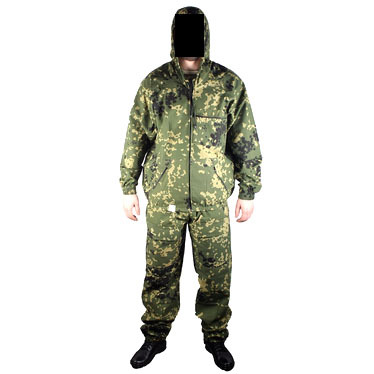 Russian Army camo cover. "Berezka" pattern. For M60 / M68 Soviet steel helmets. New. Elastic bottom. Fits all Soviet-made steel helmets. Original Soviet silk flag. 27 x 47 cm. Unused surplus. Made in 1988. Still has original tag. Please feel free to contact us if you have any questions. We will answer gladly and help with any issues. Russian. We are glad to make new friends!